I was 15-years-old when I learned that the awesome ‘power of love’ could miraculously defeat cancers, and probably all diseases. My dad’s father was a very simple man. He loved three things more than life. He loved God. He loved his wife, Betty, and he loved his Camel cigarettes. Grandfather Moses’s devotion to God was typical for any orthodox Jew. Three-hours-a-day, morning, noon and night he devoted to prayer and meditating on God’s love. He adorned himself with a holy shawl and leather-bound scriptures. He used those to inspire his heart and mind to send thankful messages to the Universal Respondent. Moses’s love for Betty was obvious. He cherished and nurtured her devoutly. This increased as they aged. 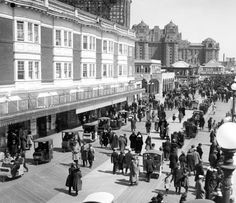 They lived in a small one bedroom, second-floor, walk-up apartment in Atlantic City, New Jersey. Every day he would cook for her, clean for her, shop for her, and take Betty for walks on the boardwalk. He was 92 when he died. She followed him a couple of weeks later at age 93. Smoking Camels was his vice. He chain-smoked remarkably. I never saw anything like it. He would cut the unfiltered ‘cancer sticks’ into thirds, put them into an unfiltered holder so he wouldn’t burn his fingers, and then smoked. In other words, for more than 75-years he regularly smoked the hottest, most tar-and-nicotine-concentrated portions of each cigarette. And that didn’t kill him! What killed Moses was a broken heart. I was there and watched it. My father and uncle decided Moses was too frail to care for Betty any more. They thought they were doing the right thing. Nursing homes were just beginning to become popular final destinations for elders. I overheard the two sons pleading with Moses to allow Betty to move into a nursing home. They didn’t listen. They put Betty in the nursing home. . . . Two weeks later Moses was dead, and Betty soon followed. I was there when my father, uncle, and the coroner came up from doing the autopsy on Moses. You see Moses died so fast it sparked the doctors’ curiosity. They wanted to know what he died from. So they ordered the autopsy. I instantly ‘got’ Moses’s greatest lesson in ‘spirituality’–the ‘Power of LOVE’ over health. What kept Moses alive was his huge LOVE for God and Betty. I realized Moses killed himself by strength of will and God’s grace. His death was merciful. A broken heart is a terrible thing. In this case, Moses’s ‘purpose in life’–to love and care for another human being–his beloved–was stolen from him. God could not and would not bear to see his faithful son stripped of his purpose in life. Moses’s ‘strength of will’ reacted. He died with the Creator’s consent. The cancers he had quashed for decades killed him almost instantly. I realized then that we live and die by the power of CHOICE intertwined with love and faith. What are these elements? How do they work? Moses’s model taught me that love and caring for another person or people was the fuel of life. Social service is the fabric that binds society together; each of us to each other. It is this calling of CAREGIVING that sustains us and gives us meaning in life, reason to live, and good cause to stay healthy. This ‘seed’ of love’s power over life, physical reality, all diseases including metastatic cancers, and miracle-making to overcome adversity, was planted in me at that early age. Moses’s model was not simply ‘mind over matter.’ It was the ‘Spirit of Love’ and motivation for care-giving over everything, including biophysics and miraculous sustenance, Moses seeded in me. From that time forward, I researched this truth. So driven, I became a ‘humanitarian,’ then a doctor of medical dentistry, an oral surgeon, then award-winning author, Harvard-trained public health expert and multidisciplinary pain-clinic director, a science scholar, natural healing advocate, pioneer in energy medicine, consumer activist, and health products entrepreneur. I studied health science and business success from the best minds internationally. I always integrated new lessons into that old growing seed that Moses planted. Now I am inviting you to prosper by this same growing seed.